Appearing in model structure at CES a couple of years back, the URB-E is at long last prepared for the spotlight. 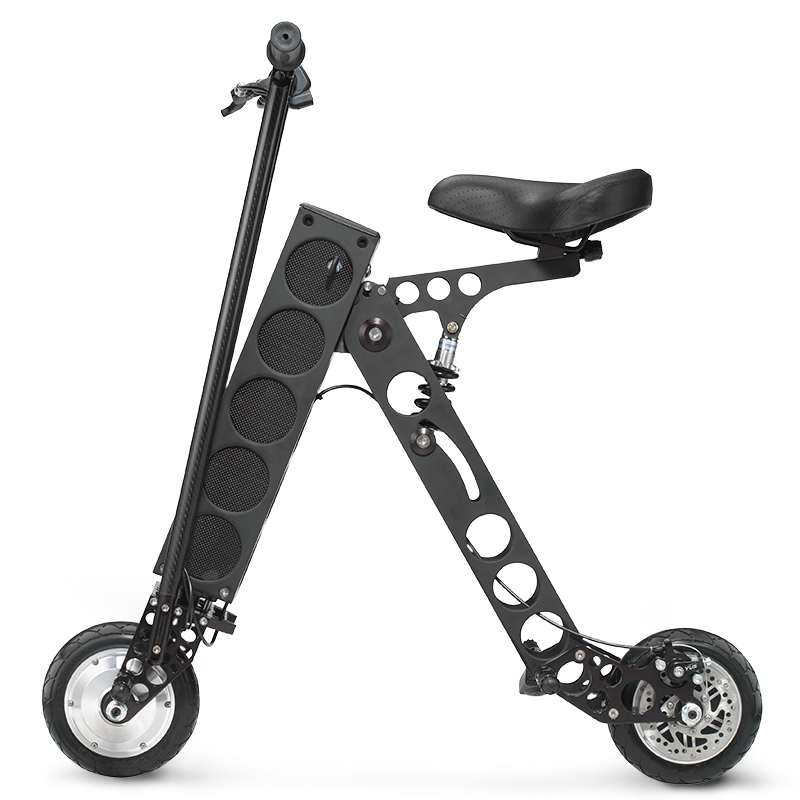 Weighing just shy of 35 pounds, the foldable bike can convey a grown up to 20 miles at a top velocity of around 15 MPH. Today at CES I met with the URB-E group, and they strolled me through their new item. All models are made utilizing air ship grade anodized aluminum and carbon fiber handles, and incorporate a removable lithium-particle battery that is completely chargeable inside of four hours. Interestingly, the battery has a USB association, which means you can connect to adornments like headlights, brake lights, or even a connector to charge your iPhone. URB-E is designed to make transportation easy and fun! URB-E goes 15mph and 20 miles on a single charge. Get where you need to go comfortably and without breaking a sweat, even when you're dressed for work. With URB-E, your center of gravity is closer to the ground than a bicycle, making it much easier and safer to ride. URB-E combines a lot of good ideas into one great idea. We took a need for versatile personal transportation and mixed it with sustainability, safety and design in a way no other company has. The result: the world's most compact foldable electric vehicle, and the only vehicle on the market that's both sustainable and practical, lightweight and durable, professional and fun.